Photo 111. 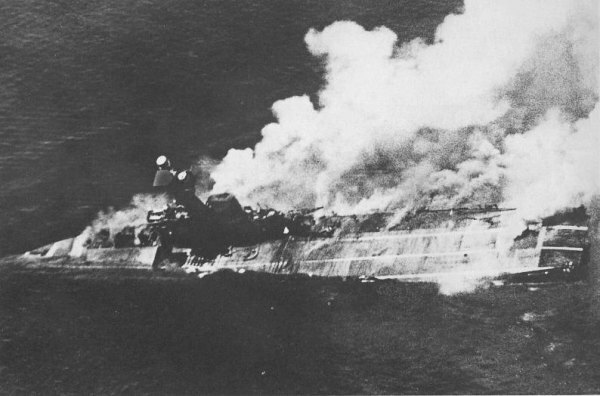 Sinking of Aircraft Carrier Hermes. The Sinking of Aircraft Carrier Hermes on the morning of 9 April 1942 in the Indian Ocean off Batticaloa, Ceylon. The British carrier was attacked by Japanese aircraft and sank in 10 minutes losing 307 men. Her escorts, the destroyer Vampire and the corvette Hollyhock were sunk as well.